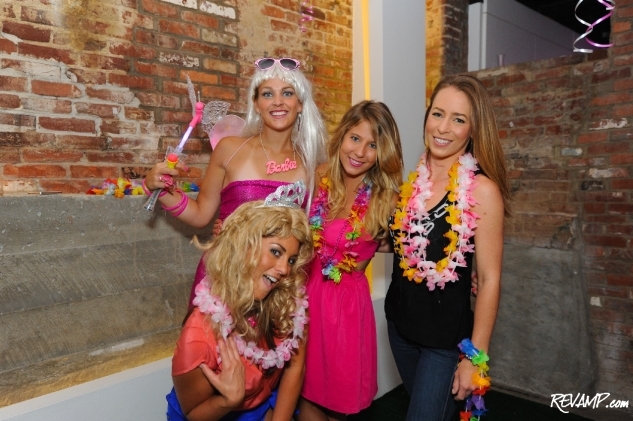 L2 Lounge Transforms Into Delectable Dollhouse For Annual Barbie Beach Party! 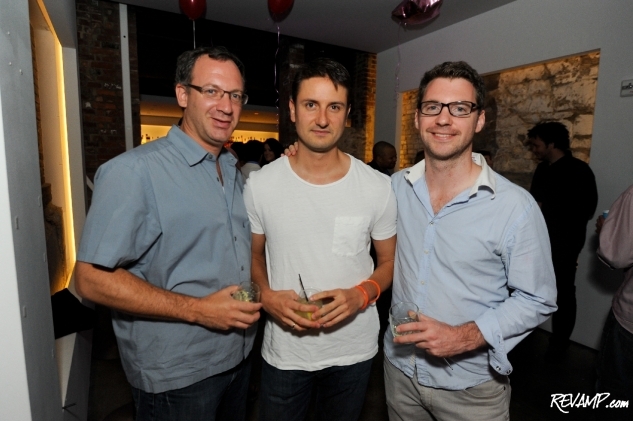 Be sure to check out all 134 of our photographs from this event HERE! GEORGETOWN -- Life in plastic was definitely fantastic for late night Georgetown revelers on Friday, as exclusive members-preferred hotspot L2 Lounge hosted its annual Barbie-themed bash. Easily the luxe Cady�s Alley-based venue�s most anticipated summer event, the playful party saw hundreds of colorfully costumed attendees pack its warmly-lit hallways for the occasion. A specially concocted �Doll House White Sangria� greeted guests on arrival at a makeshift patio bar, although L2�s beautifully efficient (and humorously costumed) wait staff was always on standby to serve-up one of the lounge�s signature craft cocktails for those looking to celebrate with a longtime favorite. While there was no formal costume competition this year, that certainly didn�t stop partygoers from good humouredly trying to sartorially best one another, with neon shades of pink, blue, purple, and green abounding. Staying true to the venue�s goal of attracting an interesting and beautiful crowd of Washington tastemakers, everyone from the CEOs of publically-traded companies to media personalities to models to casting directors to philanthropists (and everyone in between) could be spotted mingling about the at-capacity event.